Hi friends! Alicia here again from Sew What Alicia. I am so excited to be here with you again with another fun tutorial! I know you expect me to teach you sewing skills but today I have something for your sewing room. Here is a no sew teacup pin cushion tutorial that you can make in 10 minutes with very few supplies! Scroll to the bottom for a full video tutorial. 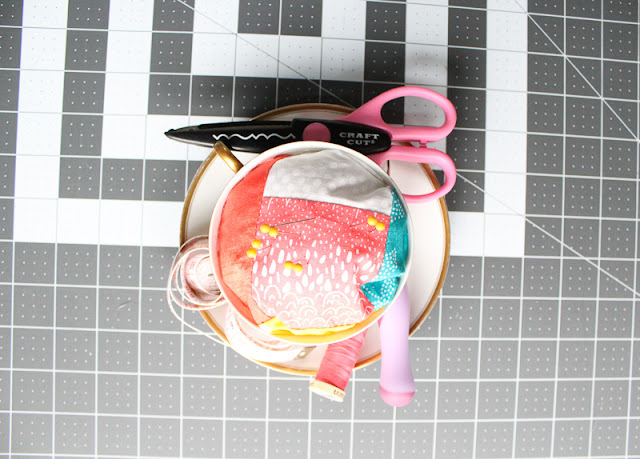 Use your teacup as a template to trace a circle on the wrong side of your fat quarter. Use pinking shears to cut around the circle you traced. Use your hot around the inside of the teacup. 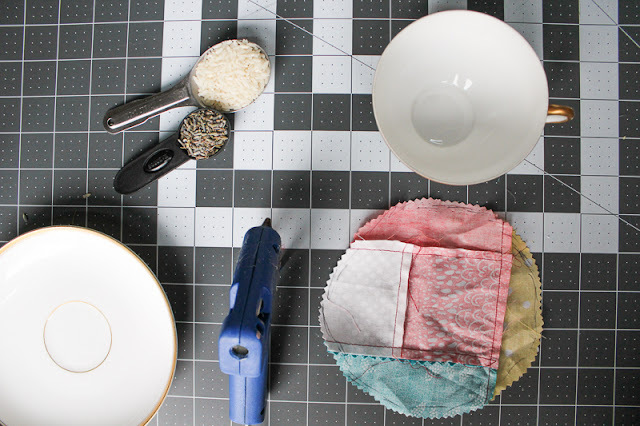 Place hot glue on half of the circle and then press the edge of your fabric circle into the hot glue. 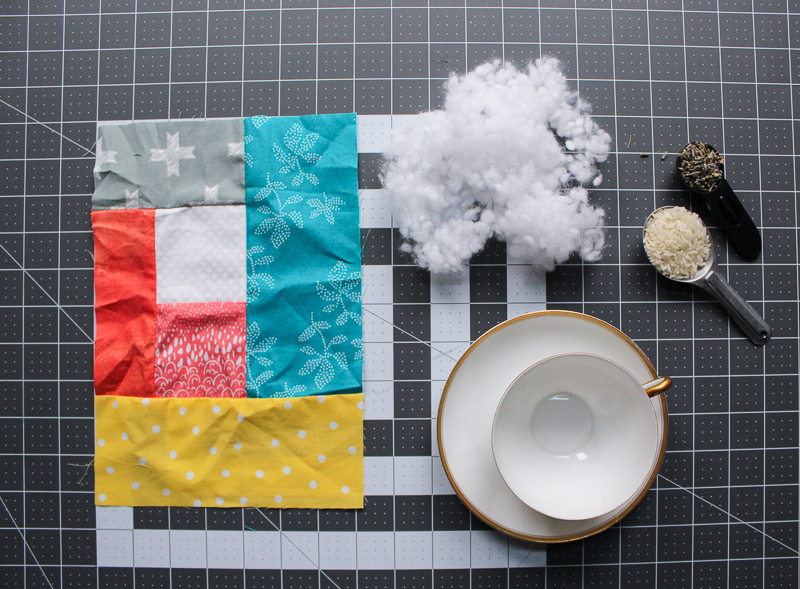 Now fold the fabric back and stuff the teacup. I added a spoonful of lavender so that my pincushion would smell nice in my craft room! Then alternate rice and stuffing until the cup is full. Now push the remainder of the circle into the cup and push the batting and rice to the edge while you hot glue the other half of the circle. The push the fabric into the hot glue. Make sure that the entire circle is glued to the cup to avoid spilling stuffing and rice! If you have a saucer hot glue the teacup to the saucer. 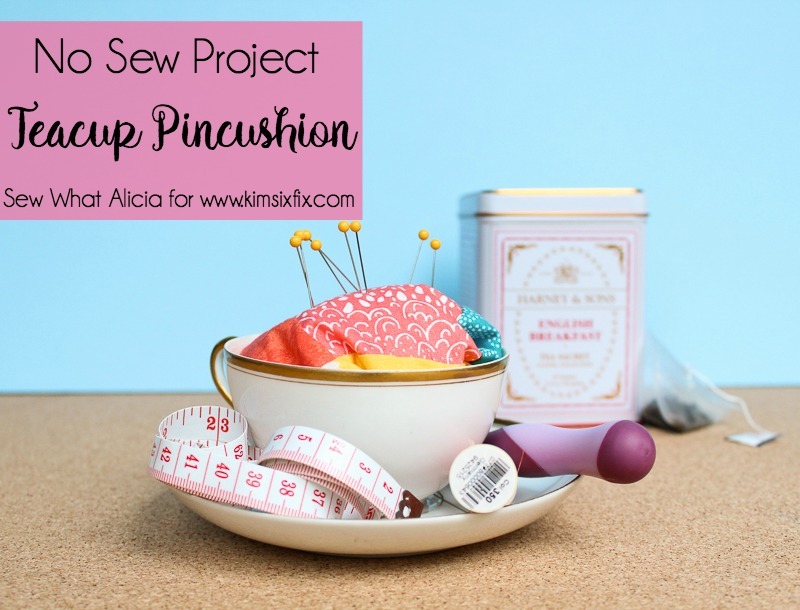 This is a great place to store thread or other notions if you move your pincushion around the house for embroidery or other hand sewing projects. 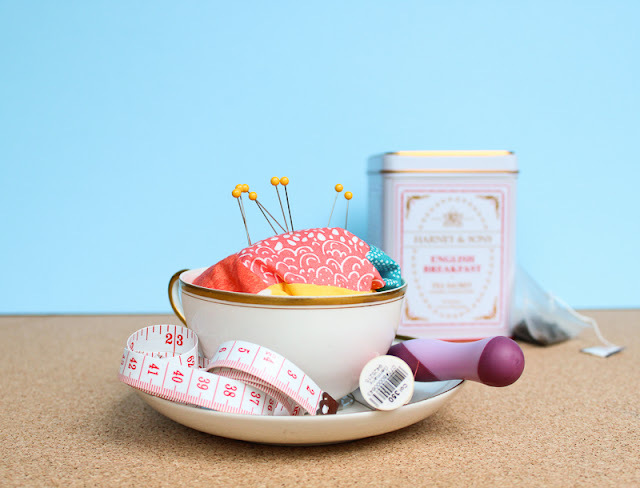 Thanks for letting me share this no sew pincushion tutorial with you! 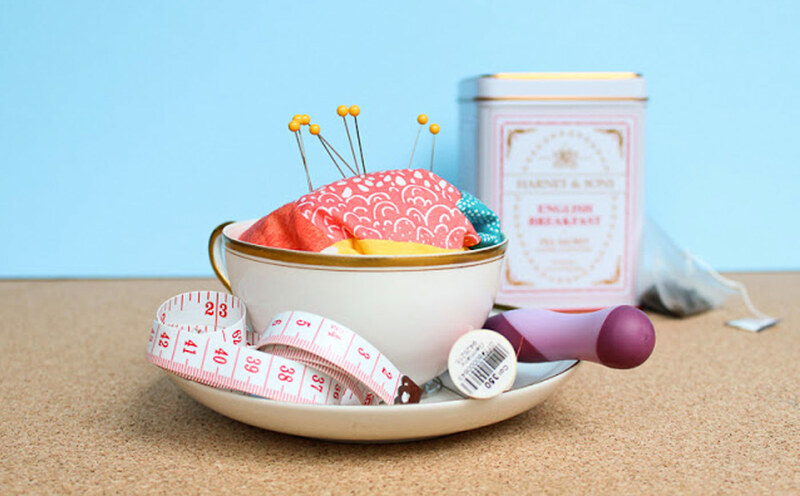 You can find me over on Sew What Alicia sharing sewing tutorials and other great sewing tips.